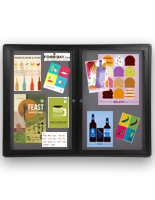 This Cork Board Comes with a Fabric Surface Framed in Black Finish Aluminum Metal! 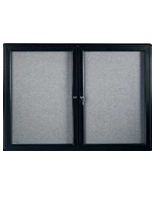 This Cork Board Features Two Locking Doors with Acrylic Lenses and Corner Holes for Wall Mounting! This Cork Board Is Only Available Here! 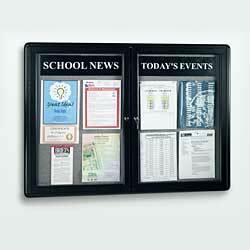 Radius Two-Door Fabric Cork board with two headers made for your custom text. Board measures 47"wide x 34"high total with two 19" wide by 29" high inside fabric surface places. Black frame with grey fabric. 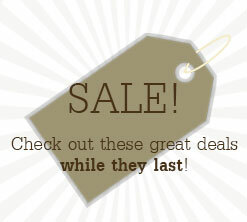 Fabric surface is color fast and will remain free from damage even after years of frequent postings. 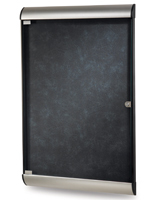 Appealing and rugged powder coated aluminum finish with decorative radius corners. 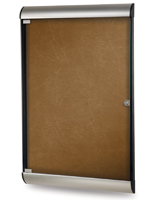 Shatter-Resistant acrylic door with key lock for supplemental security. Price includes two custom headers of these option. Headers are black with laser cut holes for thumbtack hanging. Tack up or remove headers often option.of inside the unit or on the wall. Determine your text when purchasing..... sample text headers might provide "Information", "Directory", "now's Events", "School News", "Employee News", "Current Events", "Library News", etc. Tell us what you'd like it to say! 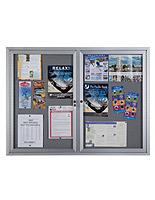 Four corner mounting holes are located on the rear of the display for the mounting hardware of these option. (hardware not included).